Check out this collection of old steel tripod ladders, still in use today by the looks of things. They must weigh a ton. There's a few newer ones in the background. 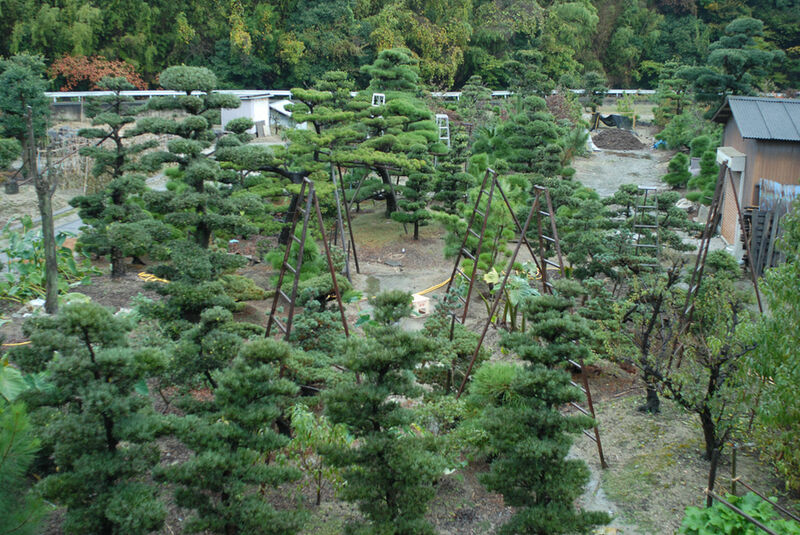 Also, what I like most of all about Japanese nurseries - the vegetables growing amongst the trees. Some taro with the big leaves, and some green thing bottom right.